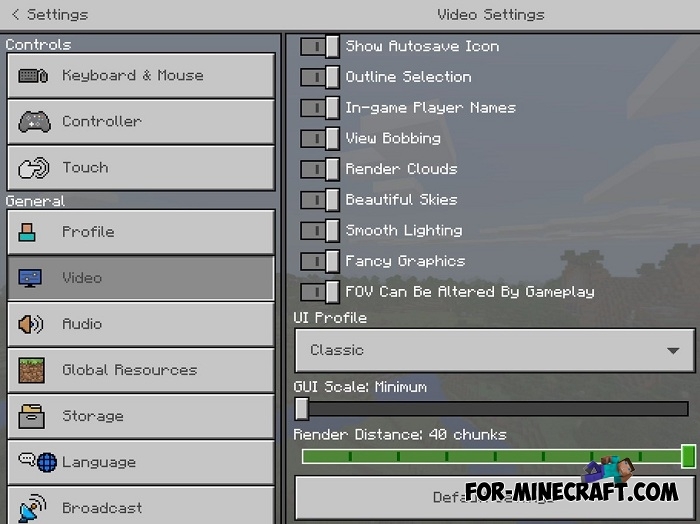 This version can be considered special because now players can activate one important and interesting function to add all the content from the beta versions to Minecraft 1.2.13. Thus, you can turn MCPE into something mixed between the release with the ability to play on servers and fully use all the functionality and beta versions that are designed to test and identify bugs in new content. 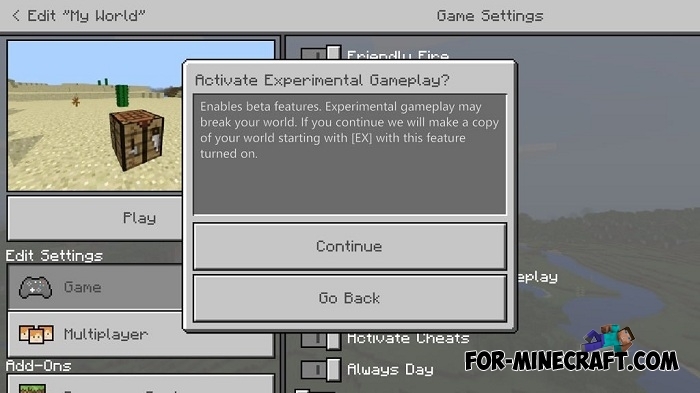 How to activate experimental gameplay? Go to the settings and just click on the activation button as shown in the screenshot. All experimental worlds will get the [EX] prefix but you can also make backup copies yourself if you do not want to damage the files. All the features can be seen here - Minecraft PE 1.2.14.3, there you can see the features of the experimental version if you want to activate it.